Hello there! 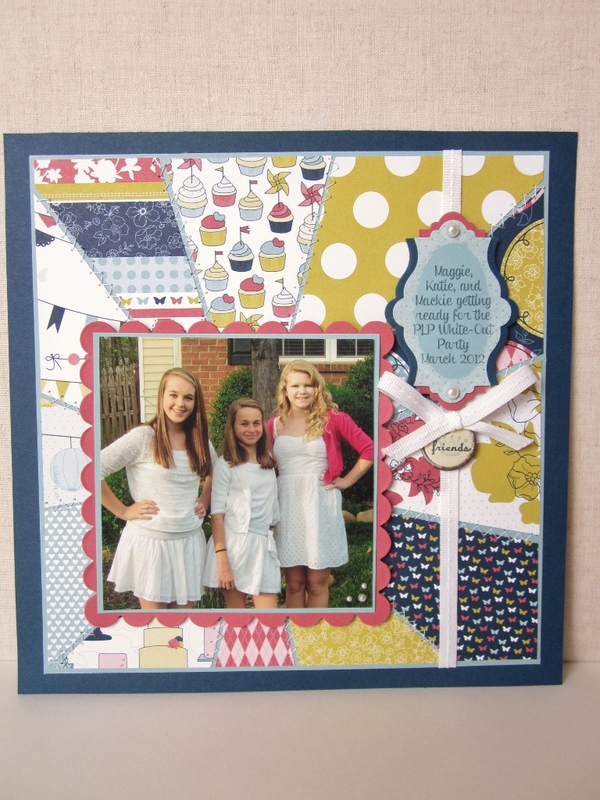 Have you been enjoying the blog hop? I do have to say it has been wonderful seeing all of the fine details of all of the amazing projects that were created. Just seeing them on the display board at convention, does not show how much effort and detail that went into every little piece. I am so glad that we can share with you all of those little bits of details and creativity. Did you come from Amy O'Neill's blog? I just love her creations, sit back and relax and enjoy the hop! Today's project is one of my scrapbook pages. 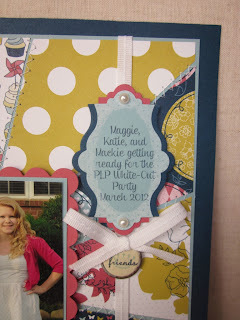 Scrapbooking is not my usual or strongest category. I don't know why, but I have not been able to get in the swing of things. Having to do these pages though, really helped me realize that I can do them, it's not so hard! This is my 8x8 page, and is a traditional page, all hand cut and stamped (except the journaling). I love the sunburst pattern and I thought that the Patio Party DSP would fit the pattern nicely. I printed off a pattern and sized it to my needs, and cut each piece out, just like a puzzle. I wanted to stitch each piece on to the baja breeze layer to add dimension. You can see the zig zag stitch here, it was relatively easy, just put a bit of snail on the center of what you want to sew to hold it in place, and sew around the edges. 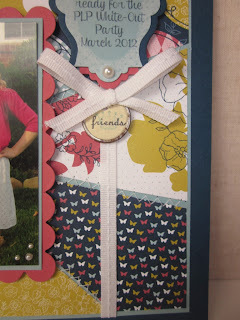 When I made this page, the Patio Party DSP, Apothecary Accents framelits, and Layered Labels stamp set was a preorder for SU demos before the catalog came out, so just playing with these items was unfamiliar. Notice the journaling? I later did a Framelits 101 tutorial on how to achieve this layered look. A bit of MDS fit the bill here. Some pearls, ribbon and tags helped me out greatly! A simple scallop square helps to mat my picture of Mackie and her friends. I loved how this page turned out and it gave me the confidence to keep trying scrap book pages, so look for more in the future. Thanks so much for stopping by today, all of your comments are very sweet, I love to read them. 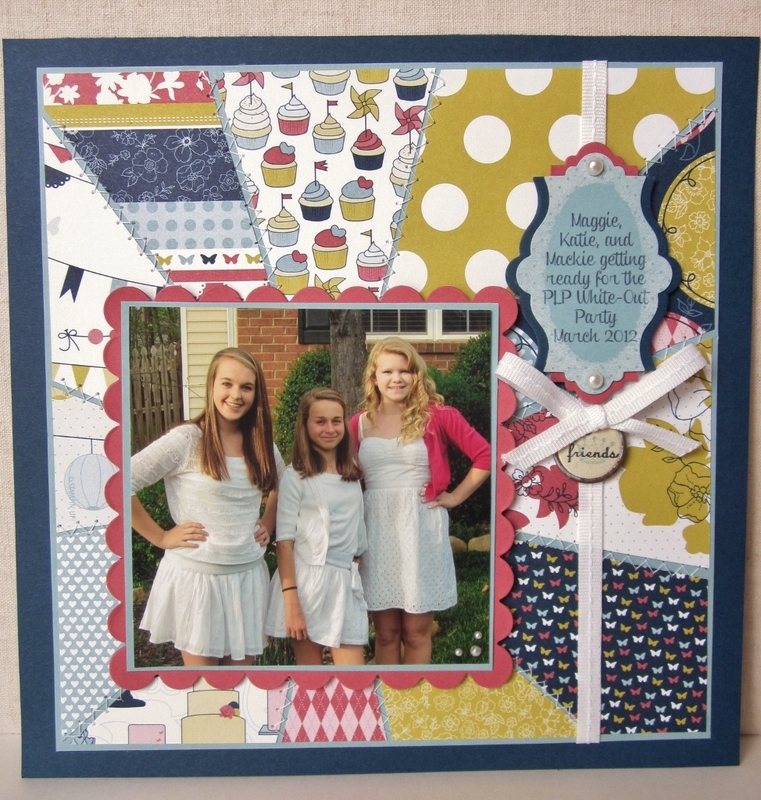 Head on over now to see Amy Rogers at Amy's Stampin Creations, she is next on the list. Here is the lineup again in case you get lost, just click on any of the creative ladies below, see you tomorrow! Love the Sunburst pattern here! You are a whiz at MDS You should sell a DVD Tutorial you know! 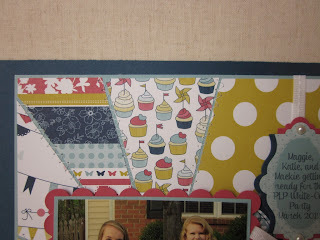 Two of the blog hop posts today used the sunburst design. I'm really going to have to try that. I love you it added so much color and fun to your scrapbook page - very well done! I really love this page. 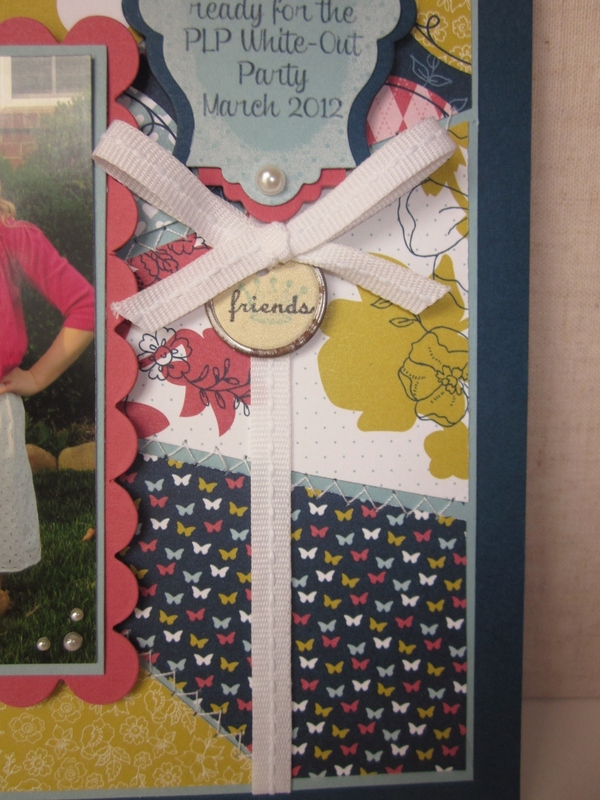 I really like the sunburst pattern and especially the way you did the journaling block.